As the domain name space expanded with the launch of hundreds of new generic Top-Level Domains (gTLDs), global companies gained unprecedented opportunities to operate their own “islands” on the internet. But risks abound, too: new gTLDs offer fertile ground for cybersquatters and other brand abusers. Whether you already staked your claim in .Brand real-estate, you’re thinking about applying in future rounds, or you’re trying to navigate the current new gTLD landscape, MarkMonitor offers end-to-end services to reduce complexity for new gTLD applicants, operators and registrants. MarkMonitor New gTLD and Top Level Domain Advisory Services are designed to help companies understand the issues, develop the right strategy, participate proactively or defensively and ensure relevant TLD acquisition. 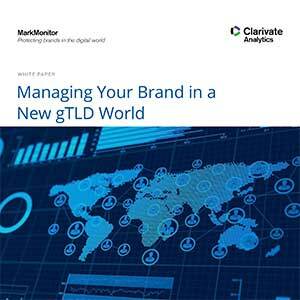 Learn more about MarkMonitor New gTLD Solutions. 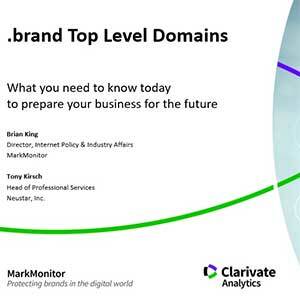 The addition of hundreds of new gTLDs has created an unprecedented new landscape full of challenges and opportunities for domain managers and brand owners. 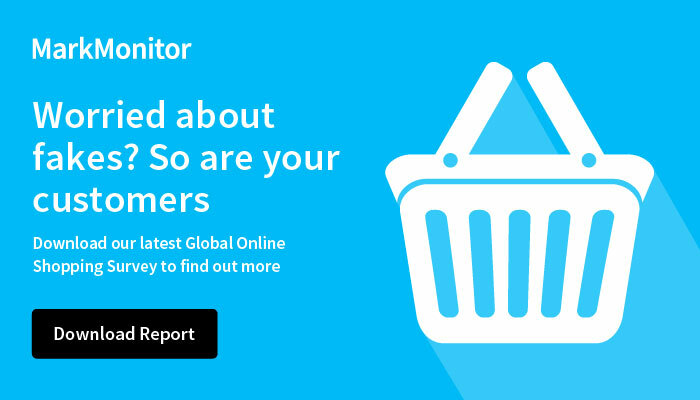 MarkMonitor provides an unparalleled suite of complimentary New gTLD Advisory Services designed to help companies arm themselves with a strategic understanding of the impact of new gTLDs on a corporate domain portfolio, enabling them to confidently and proactively protect valuable brands and trademarks as the tableau evolves. From full landscape reports that examine registration patterns, to identifying new opportunities for short, memorable URLS that are geo-specific, buzz-worthy or specific to niche markets, to maximizing the value of existing new gTLD assets, MarkMonitor experts provide guidance every step of the way to help you navigate the expanded internet namespace. Whether your corporation plans to acquire and operate a TLD to enhance its brands or you opt to take a defensive approach during the application process and beyond, MarkMonitor can help with a full range of Top-Level Domain Advisory Services. MarkMonitor Top-Level Domain Advisory Services are designed to help companies understand the issues, develop the right strategy, and ensure relevant TLD acquisition. Develop an optimal strategy and limit risks by determining the potential impact of alternative TLD scenarios. Enhance your company’s chances of successfully acquiring a branded or industry-based TLD by leveraging ICANN experts with thorough knowledge of the application process. Leverage MarkMonitor’s deep understanding of TLD launch policies and procedures to experience a trouble-free, successful launch and maximize return on TLD investment with post-launch guidance, ongoing TLD operation and maintenance support.